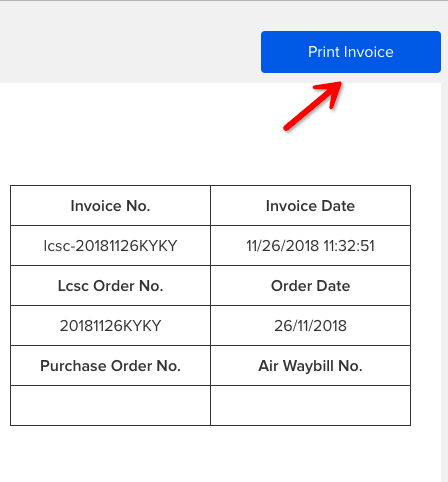 How to download an LCSC invoice? 1. Find the invoice in your order history and click to open it by using the Chrome browser. 2. 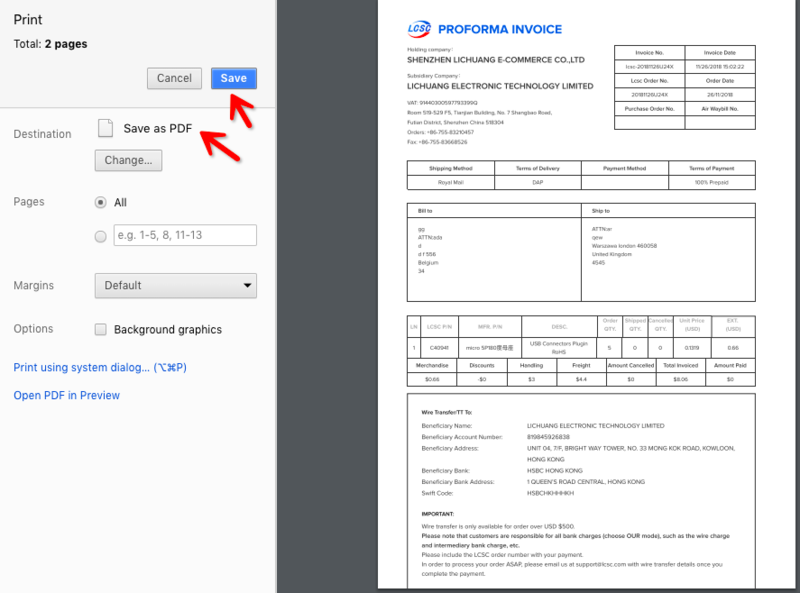 Click the "Print Invoice" button in the top right corner. 3. Destination choose to Save as PDF and then Save it.